Customized Tour & Travel Packages to Turkey, Greece, Egypt, Jordan, Morocco and various other destinations such as Israel, Spain, Italy. Choose one of our pre-designed itineraries or let us help you create your own special route. From start to end let us help you make the most of your journey. Available 24/7 during your travels. Receive a detailed quote within 24 hours. Use our knowledge to make your trip a great one. We offer personalised travel solutions. Without any knowledge or information about 7 Wonders Travel, both my friend & I chose to embark on a 10 day tour of Turkey & Jordan by availing the services of this agency. The highly professional & meticulous handling by Aydin assured us that we were in safe hands. We truly appreciate his prompt, detailed & patient replies to all our queries! We returned with pleasant memories of a very well organised tour & with very high regard for Mr Aydin & his reputed agency. Our aim is to help you plan & arrange the most suitable travel itinerary according to your preferred travel dates, where you would most like to visit, the style of accommodation that would provide you with a good night’s rest and all other factors that would help to fill your journey with memorable moments. At present we arrange travel packages & tour itineraries to Turkey, Greece, Egypt, Jordan as well as Morocco, Israel, Spain & Italy. Our Turkey travel packages included guided day tours (on regular group basis or private guided on request) to the major highlights that should be covered by any first time visitor to this magical country. For example historical area of Sultanahmet, hiking & hot air balloon rides in Cappadocia, the House of Virgin Mary & Ephesus Ancient City along with the travertens of Pamukkale (cotton castle). There is the option to customize your itinerary to include any other areas your heart may desire. Our travel packages to Egypt include sightseeing in Cairo and a chance to cruise along the Nile visiting magnificent temples along the way. For those that wish some seaside time you can also include Hurghada or Sharm El-Sheikh on the Red Sea. For those that wish to explore various Greek Islands - like romantic Santorini and cosmopolitan Mykonos, along with Athens and possibly some parts of the mainland too (Meteora Monasteries & Archaeological sites of Delphi & Olympia) we offer various Greece travel packages that can be tailored to the amount of time you have available. Want an Arabian adventure in the desert of Wadi Rum and to discover the legacy of the Nabateans, then take a look through our various Jordan travel packages & adventure tours. From Amman through to Petra via the Kings Highway then on to Wadi Rum, most also include a rejuvenating swim break in the Dead Sea! Special Interest Tours: Should your travel party have some special interest travel requirements such as religious tours to 7 Churches of Revelations or In the Steps of St Paul we are ready to help. 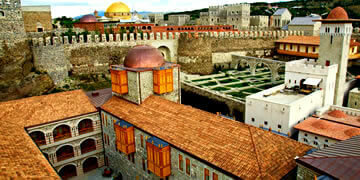 We specialize in helping you plan the best possible itinerary for a memorable trip through Turkey. Let us handle all details from the moment of arrival till departure so that you can fully enjoy your well-deserved travels and have peace of mind knowing we are at your disposal 24/7. You select your own travel dates and we then tailor a suitable itinerary accordingly. All you need to do is complete our enquiry / get a quote form and we take it from there, saving you valuable time and the hassle of hours spent researching. In our Turkey travel packages section you can find many sample itineraries to begin giving you some ideas – all can then be tailored to better suit you. Hotel accommodation & transport between each area is included and combined with regular group day tours (or private guided day tours) available in each region. For those that prefer to have to have an escorting tour guide with them from start to end, we do also offer set departure Turkey Escorted Group Tours. 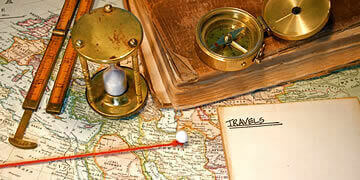 It is also possible to add some adventure tours during your travels in Turkey. Such as hot air balloon ride in Cappadocia, white water rafting in Antalya, paragliding & boat cruises in Fethiye, horse riding safaris & atv etc. Let us help you design an itinerary filled with special moments. We are here to handle all details from the moment you send us your initial request until the day you depart home at the end of your trip! In our Greece travel packages section you can find many sample itineraries which can then be tailored to better suit your travel dates & where you would most like to visit. We can combine any number of islands together with sightseeing in Athens and if you wish there is also the possibility to include major historical sites during one of the escorted Greek Mainland Tours. All you need to do is complete our enquiry / get a quote form and we take it from there, saving you valuable time and the hassle of hours spent researching. We design all our itineraries based on your individual requirements. All you need to do is ask and we will reply with various suggestions to make your journey through the land of Pharaohs a reality! Discover the Pyramids and much more in Cairo; cruise between Aswan and Luxor visiting magnificent temples on the shores of the Nile, swim in a rainbow of colored fish in the Red Sea - we are here to help you plan your precious moments in Egypt! Take a look through various sample itineraries in our Egypt travel packages section then complete our enquiry / get a quote form and we will take it from there, saving you valuable time and the hassle of hours spent researching. A country of world heritage sites & inspiring desert landscapes, a visit to Jordan should be on everyone’s bucket list! From short 2 days trips discovering amazing Petra to longer more in-depth options covering various major highlights, we are here to help you make the most of your time. Let us know how many days you have available, what you would like to achieve and we will prepare the best itinerary for you. 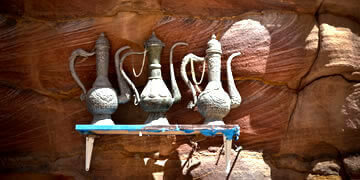 Take a look through various sample itineraries in our Jordan travel packages section for some ideas. From standard options with overnight stays in hotels and transport by private vehicle to more adventurous possibilities like a jeep or camel safari or multi-day hikes through magical wadis of Jordan. 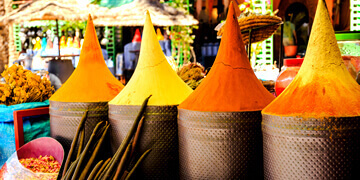 Experience the sights, sounds and flavors of Morocco! From elegant royal cities to high villages in the Atlas Mountains, from calm desert oasis to bustling seaside resorts – Morocco has treasures for all tastes & budgets. We offer various escorted group tours of Morocco which can also be arranged on individual basis for those who do not wish to travel in a group / prefer a more tailored experience. As with all our destinations, we can customize an itinerary to better suit your travel dates and where you would most like to explore. So if none of the options on offer meet your expectations then just pop us a request and we will be happy to advise on alternatives. Connect Turkey with Greece, add Jordan or Egypt, opt to include Israel, Spain or Italy – a few of our valued clients have even done up to five countries in one go! The combinations are endless, so we prefer to work on a personalized request basis. You let us know the countries you would like to combine and we then prepare a solution that would fit within the amount of time you have available. For some ideas to get you started, take a look through our Combination Travel Packages section then complete our “enquiry / get quote” form and we will take care of everything from start to end! 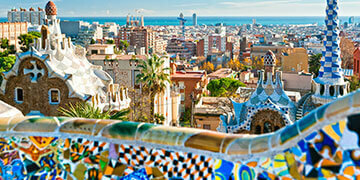 Discover the beauty and treasures of Spain and/or Portugal during one of our cultural highlight Spain Tours & flexible Spain Portugal travel packages. Tailored itineraries designed on when & where you wish to visit. From Lisbon through to Barcelona along the Costa Del Sol or up via Madrid to beautiful Northern Spain. The choice is endless, so let us help you put together your dream trip. Spain & Portugal can also be combined with Morocco if you wish. Let us help you design your travels in Italy based on when you wish to travel, where you would like to visit & any other details that would make it a wonderful vacation for you to enjoy from start to end. In our flexible Italy travel packages & Italy tours section you can find sample itineraries which can be customized to better suit your interests. 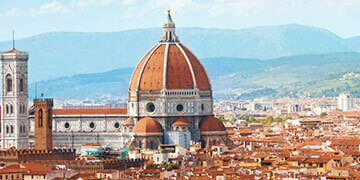 We can combine any number of cities & surrounding areas of Italy. Our travel packages include accommodation, transport (by train, flight or private car), together with day tours exploring historical, cultural and natural landmarks. If interested in wineries & cuisine then this can be included too. Complete our enquiry / get a quote form and we take it from there. 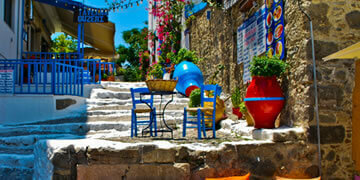 We can also combine Italy with Greece, Turkey, Croatia or any other country of your choice. Croatia – a country of breathtaking waterfalls in majestic forested national parks, picturesque towns & cities filled with historical monuments, sparking waters & magical islands. A country that truly has something to offer everyone. 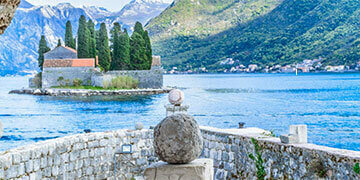 Our Croatia travel packages can be land only, land & island hopping or if you wish combined land with an Adriatic Cruise. Let us know when & where & we will then put together the best Croatia travel & tour plan for you. For those with more time, you could also combine Croatia with neighboring Balkan countries such as Slovenia, Montenegro, Bosnia, Serbia etc.